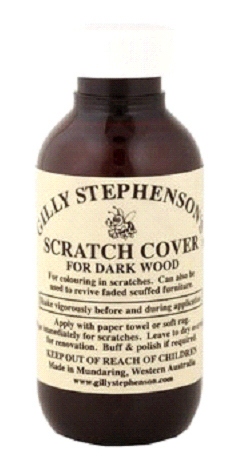 Gilly Stephenson’s Scratch Cover is used to colour scratches in wood. Typical Uses - Colours scratches in dark wood. Revives slightly worn furniture when stripping the timber is not warranted. 1. Shake vigorously before and during application. 2. Apply with a paper towel or soft cloth. 3. Wipe immediately for scratches. 4. Leave overnight for renovation. 5. Buff and polish if required. Click here for Scratch Cover MSDS. 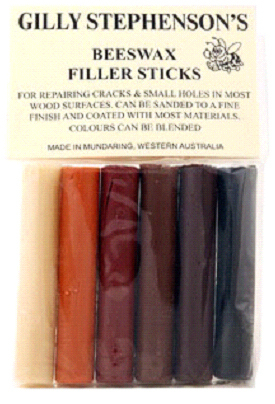 Gilly Stephenson’s Bees Wax Filler Sticks are coloured sticks that are used for repairing cracks and small holes in most wooden surfaces. 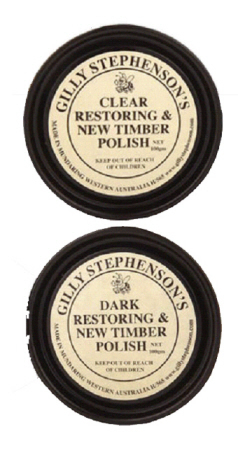 Gilly Stephenson’s Restoring & New Timber Polish is designed as a starter polish for new work or furniture that has been stripped back. 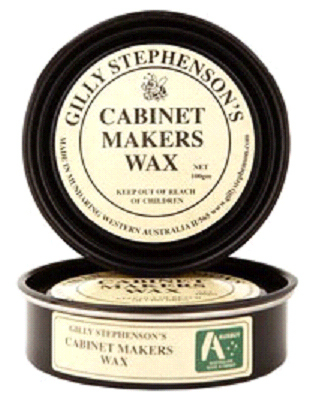 Gilly Stephenson’s Cabinet Makers Wax is a traditional polish made with bees wax and carnauba wax. It adds sheen to wooden surfaces and is excellent for filling small holes, defects and hairline cracks. 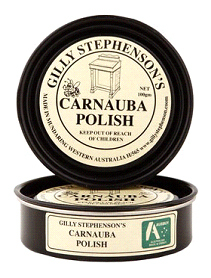 Gilly Stephenson’s Carnauba Polish is a fast drying high sheen finishing polish for all types of woods. 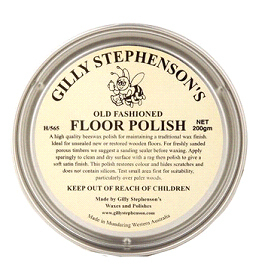 Gilly Stephenson’s Floor Polish is a high quality bees wax polish for new unsealed and/ or restored wooden floors. 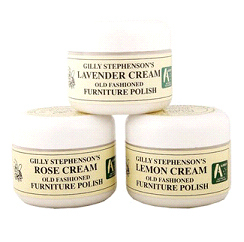 Gilly Stephenson’s Cream Polish is a furniture polish made with the finest West Australian bees wax to an old English recipe. Available in lemon, lavender and rose.